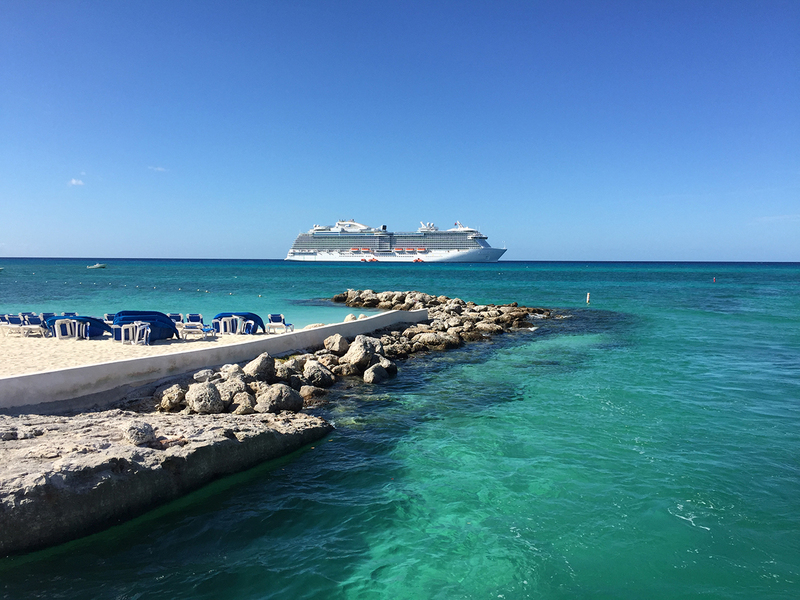 If you are planning a cruise to the Bahamas or Caribbean, chances are that you’ll be stopping at one of many private destinations operated by the cruise lines. 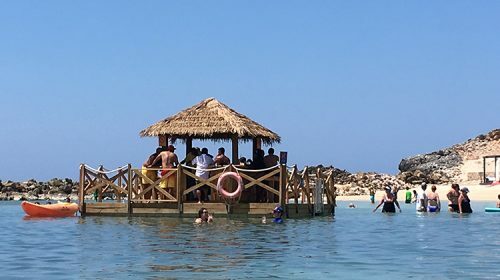 Just about every cruise line has a private destination to offer its guests and they usually consist of well landscaped grounds, sandy beaches with loungers, bars and sometimes a free buffet style BBQ lunch. The Cruise Lines love to include these stops because you, as the guest are “captive” while you are there. This means the cruise line can control your experience and earn revenue on everything from drinks, shopping and excursions while you are off the ship. Normally, when a cruise stops at a port, the cruise line will not be earning money from the casino, bars, specialty dining, onboard shops, spa and more. Sure, if you book an excursion through the cruise line, they make a portion of that fee, but all other shore-side revenue goes directly to the vendors ashore. Personally, I prefer to visit the major destinations in the Bahamas and Caribbean. The main reason is that I have a more varied selection of things to do and places to see and I can immerse myself into the local culture. When booking a week-long cruise in the Caribbean for example, I try to find itineraries that include at least 3 major ports in addition to the private destination. More often than not, the private destination becomes my beach day where I don’t do a whole lot except relax off the ship. As you know, cruising can be “stressful”. Let’s dive into the Cruise Line Private Destinations. 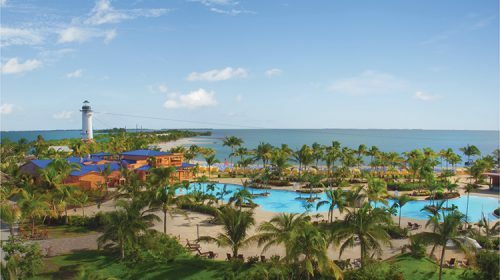 Amber Cove is located near Puerto Plata on the North coast of Dominican Republic. 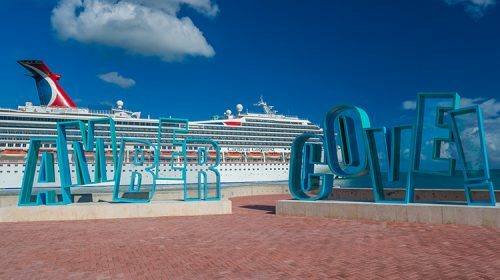 The cruise center at Amber Cove was developed by Carnival Corporation and receives cruise ships primarily from Carnival Cruise Line as well as from their many other cruise brands including Holland America, Princess Cruises, P&O Cruises and AIDA Cruises. 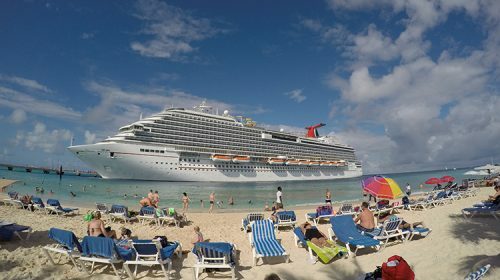 Occasionally, other non Carnival brand cruise lines may call on Grand Turk. The cruise center is accessible by a pier that can accommodate up to two cruise ships at a time. Amber Cove features many historical sites nearby that you can experience with a walking tour or by vising local museums. There are several nice beaches located within a short taxi ride. The on-site Aqua Zone is free for cruise guests and features a large pool, waterslides, lazy river and swim-up bar. There are plenty of complementary lounge chairs and over-the-water cabanas are available for rent. Many shore excursions are offered including the swimming with the dolphins at Ocean World, zip line at Country World Adventure Park, Resort Getaways and more. There are lots of shopping opportunities within the cruise center or in the town of Puerto Plata. 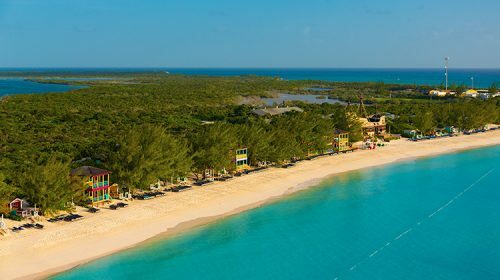 Grand Turk is located 575 miles southeast of Miami, Florida and is the capital of Turks & Caicos. 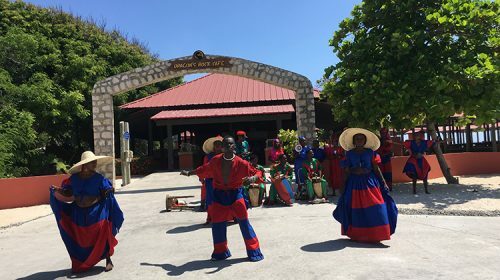 Like Amber Cove, the cruise center on Grand Turk island, was developed by Carnival Corporation and receives cruise ships primarily from Carnival Cruise Line as well as from their many other cruise brands including Holland America, Princess Cruises, P&O Cruises and AIDA Cruises. The cruise center is accessible by a pier that can accommodate up to two cruise ships at a time. 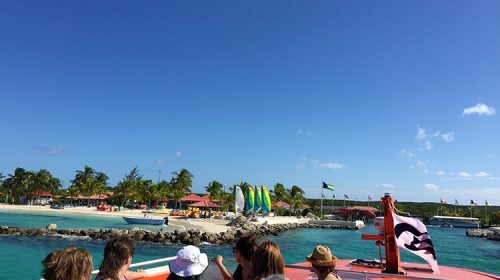 Grand Turk features great snorkeling opportunities within yards of the cruise ship and a nice sandy beach area. 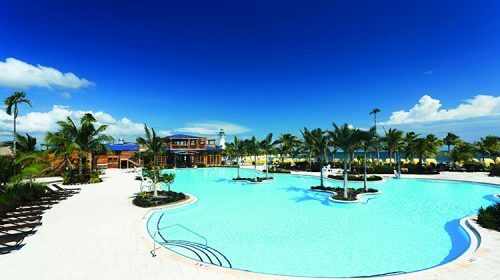 There is also a large pool adjacent to the massive Margaritaville, that is free for cruise guests to use. 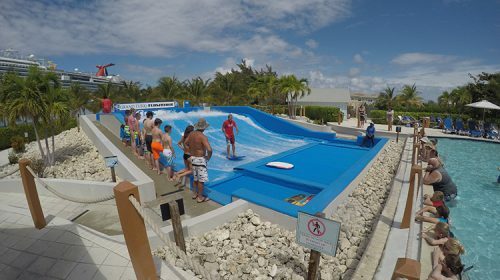 A FlowRider surf simulator is available as an excursion for an additional cost of around $30 per person. Additionally, there are several other shore excursions to choose from including Jeep Safari, Dune Buggy Safari, Scuba Tours and more. The port facility also offers any duty free shopping opportunities. 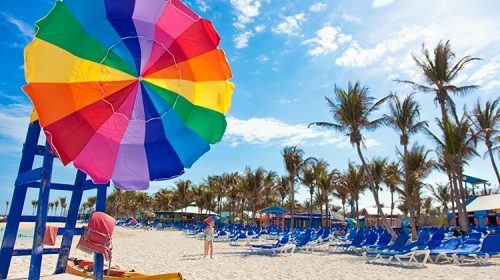 Disney Cruise Line’s private Bahamian island Castaway Cay is located around 167 miles from Miami, Florida and is immaculately maintained as you would expect from the Disney Company. 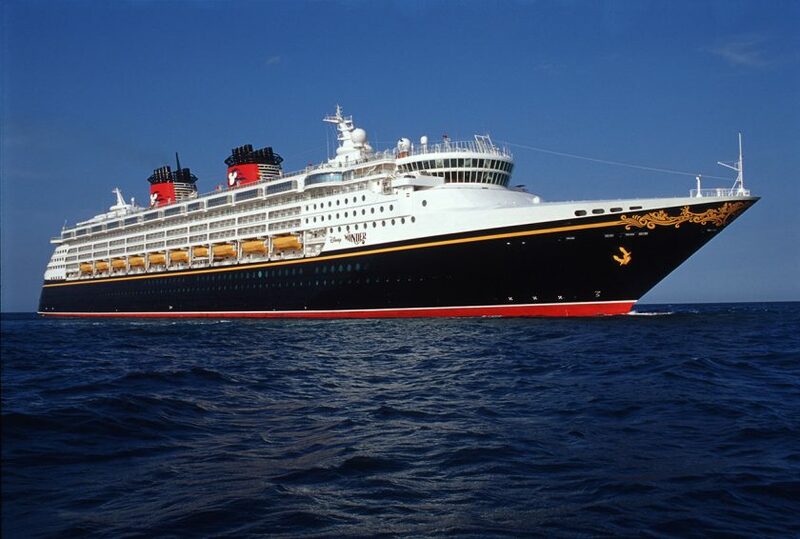 One Disney cruise ship can call on the island at a time which is accessible by a pier. 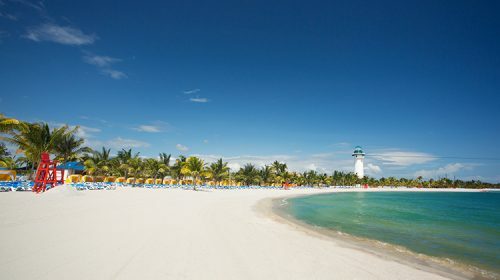 Something unique to Disney Cruise Line is that every one of their Bahamas and Caribbean itineraries includes a stop to Castaway Cay. Some special sailings even visit there twice during one cruise. 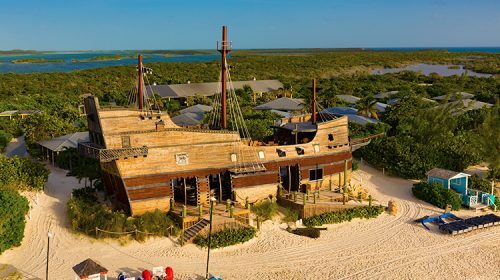 The island of Castaway Cay is truly an extension of the experience onboard their cruise ships and the immersiveness of Disney characters and famous Disney service is apparent everywhere. 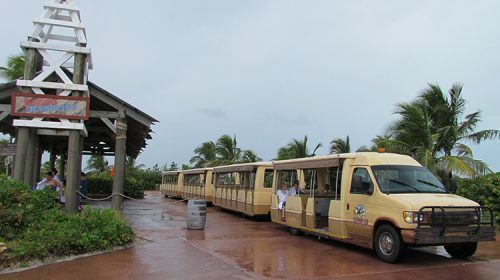 Just like you experience at the Disney parks, when you get off your Disney cruise ship, you’ll be greeted by a tram that can take you to spots around the island or enjoy the easy walk along the manicured walkways. There are several beaches on the islands including Serenity Bay, reserved for adults only. A snorkeling lagoon is available right off the family beach and be on the lookout for the hidden Mickey. Pelican Plunge is a floating platform complete with a two twisting water slides and bucket dump. 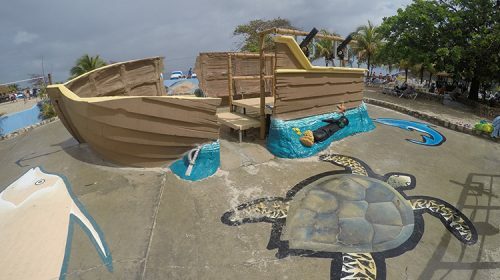 There is also the Scuttle’s Cove kids water play area for wet family fun on land. Plenty of other family-friendly activities including character greetings abound. 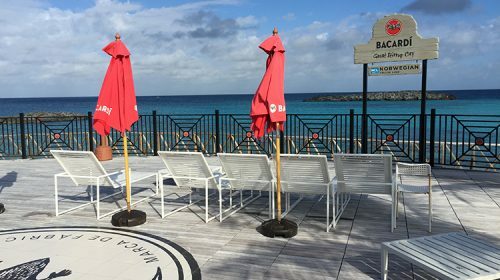 When you’re ready to eat, you can always get back on your ship at any time or enjoy the complimentary BBQ lunch on the island. The private island of Half Moon Cay was purchased and developed by Carnival Corporation originally to be used exclusively for Holland America Line guests. 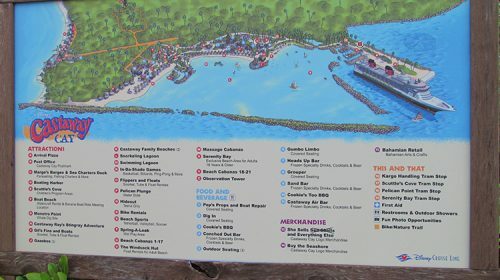 In more recent years, Carnival Cruise Line has also added stops to Half Moon Cay on some of their itineraries. There is no pier at Half Moon Cay, so guests wishing to go ashore, must use small boats called “tenders” to shuttle guests to the island and back. Half Moon Cay is all about enjoying the natural beauty of the island. It is considerably less developed than other cruise lines private destinations and that is the whole point of it. That doesn’t mean there isn’t anything to do ashore. 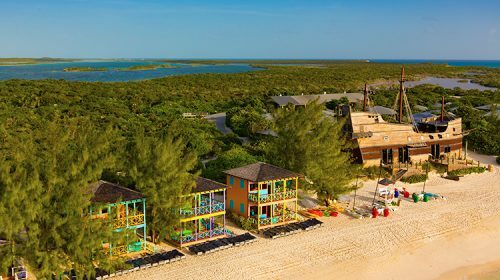 There are pristine white sandy beaches to explore, private villas for rental, complimentary BBQ lunch at the Tropics Restaurant or dine at the Lobster Shack available for an up-charge. There are also a number of shore excursions to partake in, such as horseback riding, snorkeling, personal watercraft, kayaking and guided bicycle tours. 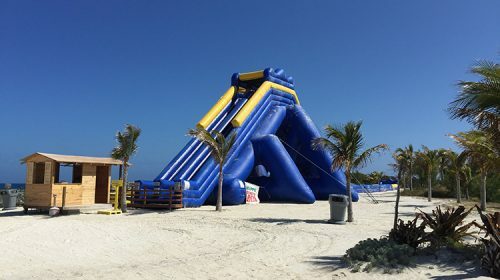 Great Stirrup Cay has received major upgrades over the past couple of years. The private island mainly receives Norwegian Cruise Line ships, but also ships from sister cruise lines Regent Seven Seas and Oceania Cruises. 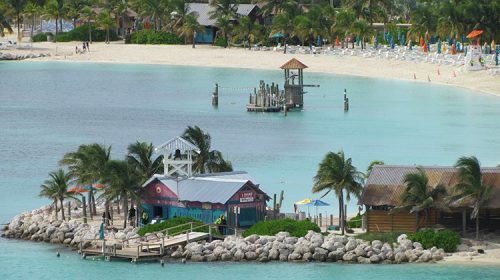 There is no dock facility at Great Stirrup Cay, so tenders are required but run frequently. 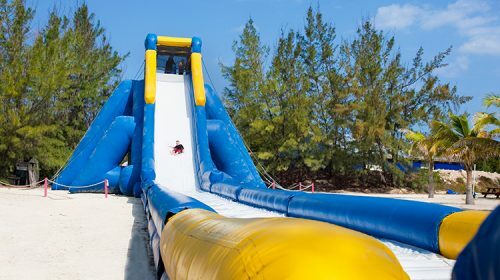 There is no shortage of activities to do on Great Stirrup Cay. Firstly, there are several fantastic beaches, that’s a given, and spots to wade into the water and snorkel. If you are looking for something more active, your rent a wave runner, parasail, paddle board or go kayaking. Private cabanas or clamshells can be rented. 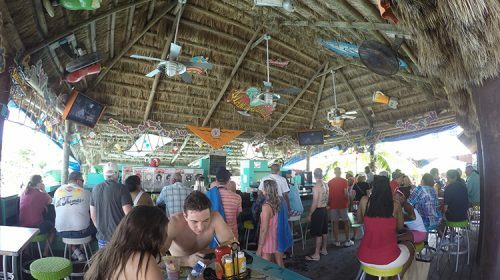 When you are hungry the Beach Buffet and Abaco Taco Bar offer a complimentary lunch. 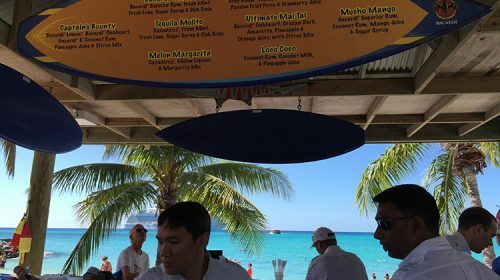 Drinks are available for purchase from a number of bars and if you have the cruise line’s ultimate beverage package you can also use it on the island. 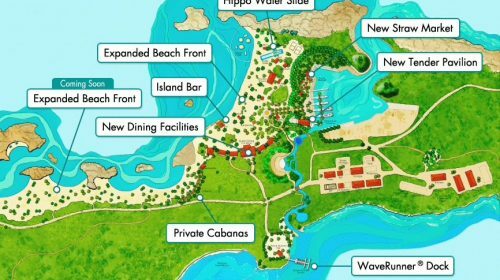 Norwegian is in the midst of adding a new Lagoon Retreat on Great Stirrup Cay. 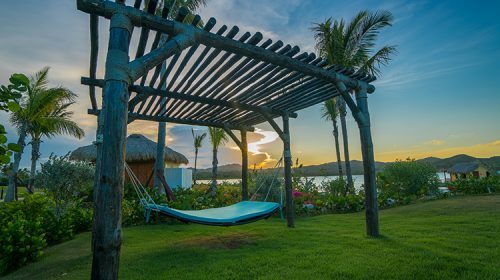 This exclusive area will be complimentary for Haven and Suite guests with limited capacity of purchase and feature a luxurious experience with its own dining options, swim-up bar and luxury villas rentals. Harvest Caye is located in southern Belize. 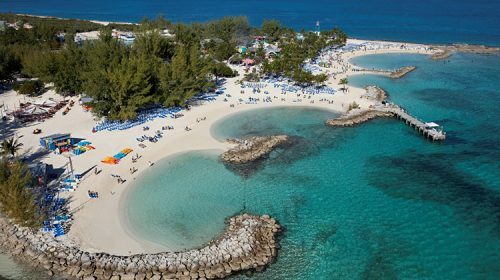 The expansive 75-acre island was developed by Norwegian Cruise Line and opened in late 2016. Like Great Stirrup Cay, Harvest Caye receives cruise ships from sister cruise lines Regent Seven Seas and Oceania Cruises. The islands has its own pier facility to make getting on the island easier. 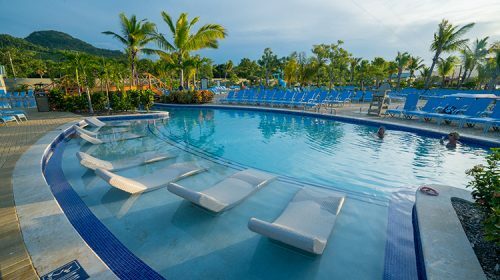 Harvest Caye offers enough activities to keep everyone entertained. There is a large resort pool with swim-up bar and canopy loungers for rental. 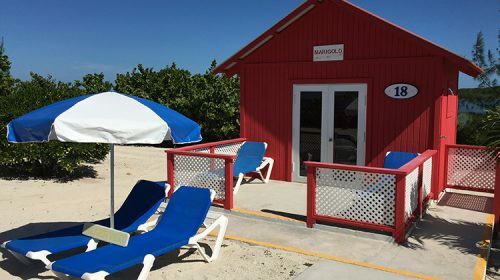 There are also beachside cabanas with concierge service. Zip across the island on the 3,000 foot zip line or rent kayaks and paddle boards to use in the lagoon. Walk through the Nature Center and snorkel the world’s second largest barrier reef. Several shore excursions are available including those highlighting the Mayan culture on the mainland. 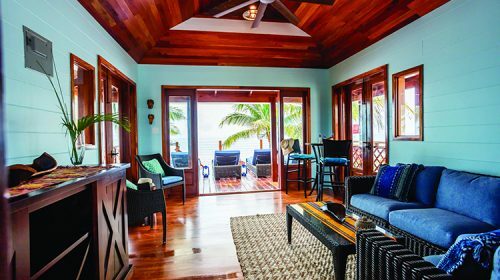 As with the activities, dining and beverages on Harvest Caye are not included. 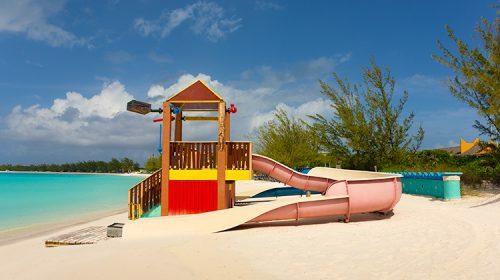 Princess Cays is one of the more subdued private Bahamas islands. In addition to visits by Princess cruise ships, Carnival Cruise Line and Costa Cruises also make calls there. 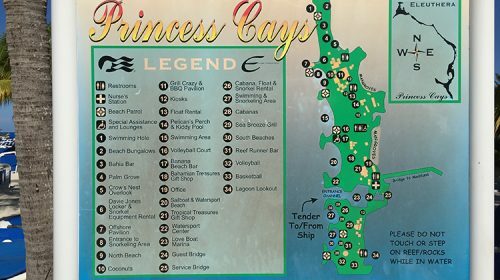 There is no dock facility at Princess Cays, so tenders are required. 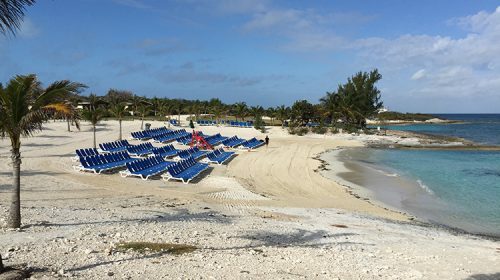 Princess Cays offers a nice relaxing day with complimentary beach loungers. Non-motorized water sports like kayaks, paddle boards, windsurfing and snorkeling are available as shore excursions. There are also private bungalows for rental. Guest can enjoy a complimentary beach barbecue and drinks are available purchase at one of the bars. 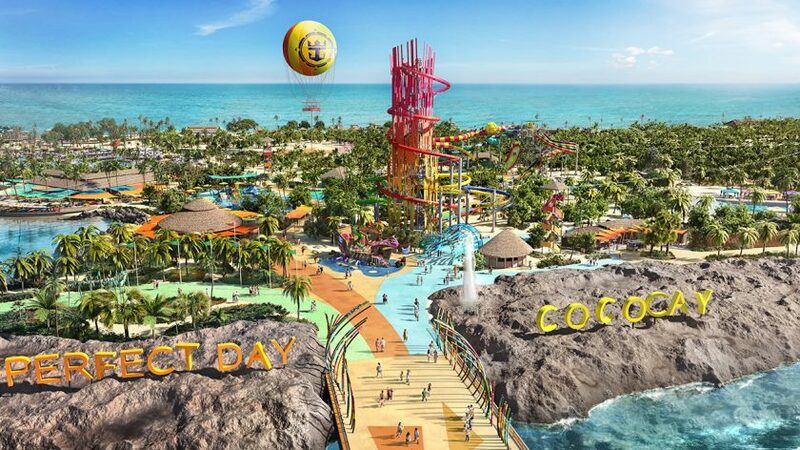 CocoCay is the private Bahamas island for Royal Caribbean guests. The island also receives a few visits from sister cruise lines Celebrity Cruises and Azamara Cruises. Currently none of the Oasis class ships can visit CocoCay since tendering is required and the ships have too many guests to shuttle efficiently. Many new enhancements including a new pier allowing for guests to walk off the ship, are being added to the island in the coming months. 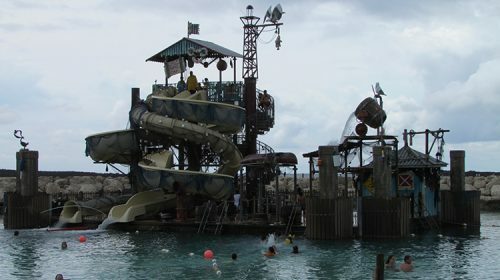 CocoCay offers many of the same attributes as found on other private Bahamian islands. Most notably the white sand beaches, free loungers and complimentary barbecue lunch. 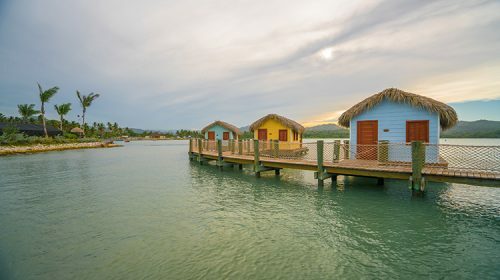 You will also find some neat features like a floating bar, nature trail, beachside spa services and private waterfront cabanas and beach bungalows. 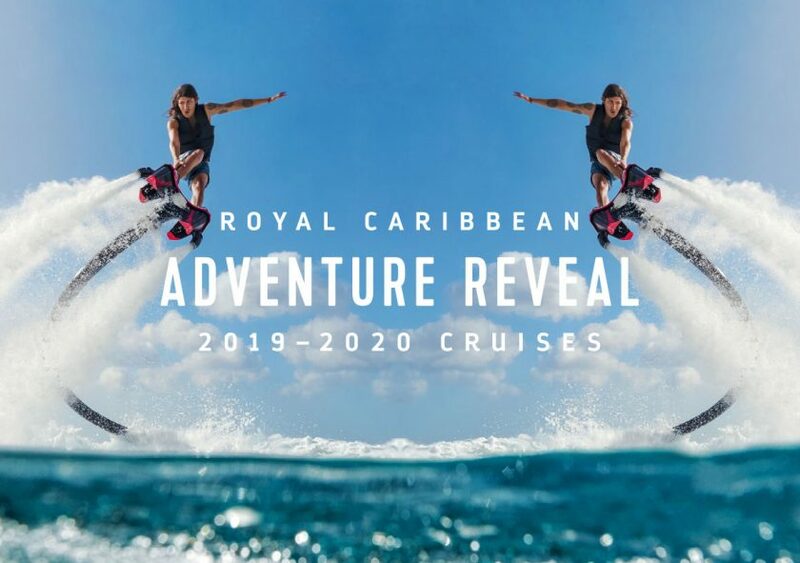 Royal Caribbean offers many shore excursions such as Caylana’s floating aqua park, scuba diving, wave jet tour, kayaks and parasailing. Labadee is located on the northern coast of Haiti. The expansive private destination has grown tremendously over the last decade. 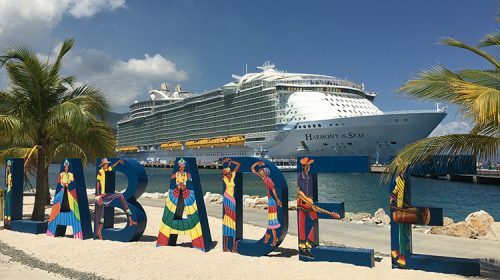 With the addition of a pier in 2009, all Royal Caribbean ships including Oasis Class ships can now make calls to Labadee. Labadee has become the premier private cruise destination. It has definitely earned this designation with awesome features like the Dragon’s Breath Flight Line, the world’s longest zip line over water and the Dragon’s Tail Coaster, an exciting ride at 30 mph down the mountainside. Add to this several areas for families to splash and play all day long and dozens of active shore excursion adventures like the Wave Jet Tour. There is the traditional included BBQ served and plenty of places to get a cold drink including the signature Labadoozie. Guests looking for the VIP treatment can seclude themselves at the Barefoot Beach Club with private over-the-water cabanas. This area is complimentary for those staying in the highest level accommodations of a Grand Suite and above onboard the ship. 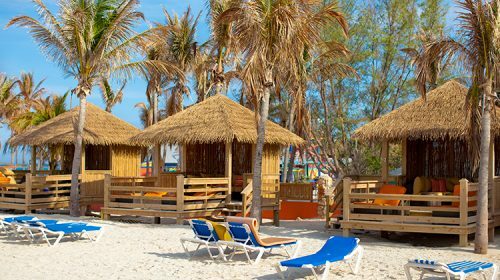 A limited number of daily cabanas of varying types are available for rental. 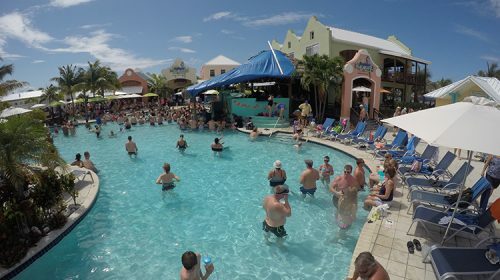 Barefoot Beach Club guest enjoy included snorkeling equipment, and an upgraded barbecue luncheon menu. As you can see, there are many cruise line private destinations, each with their own unique features. Regardless of which one you visit, you’re certain to have a great day away from it all.